Premium Joinery and Carpentry provides professional and excellent Craftsmanship around Kingston, Richmond, New Malden, all areas of Surrey and All areas of London within the M25. Premium Joinery and Carpentry are highly skilled tradesmen with city and guild qualification as basic requirement, delivering excellent quality works in accordance with the national standards and all relevant building regulations. All Premium Joinery and Carpentry work is done to a very high standard and are very passionate about our work and strive for perfection on all of our projects undertaken small or big. We use the latest and most efficient range of tools to complete any work and we have excellent customer service where we take great consideration of clients properties. Contact me for a free estimate and advice on any Carpentry and Joinery service. Timber framing specialist including bespoke roofs. Contact me for a free estimate and advice on any Carpentry and Joinery job project you might acquire. To request an appointment please contact me by phone or email. 24/7 Call Out for break in repair work only. 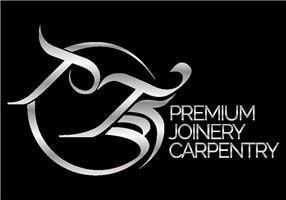 At Premium Joinery and Carpentry, we pride ourselves on the quality of our service at a competitive price. Our charges are uncomplicated and 100% transparent.